As a security professional, have you found that you and others in your company do not always define “security” the same way? Perhaps security interests and business interests have become misaligned. 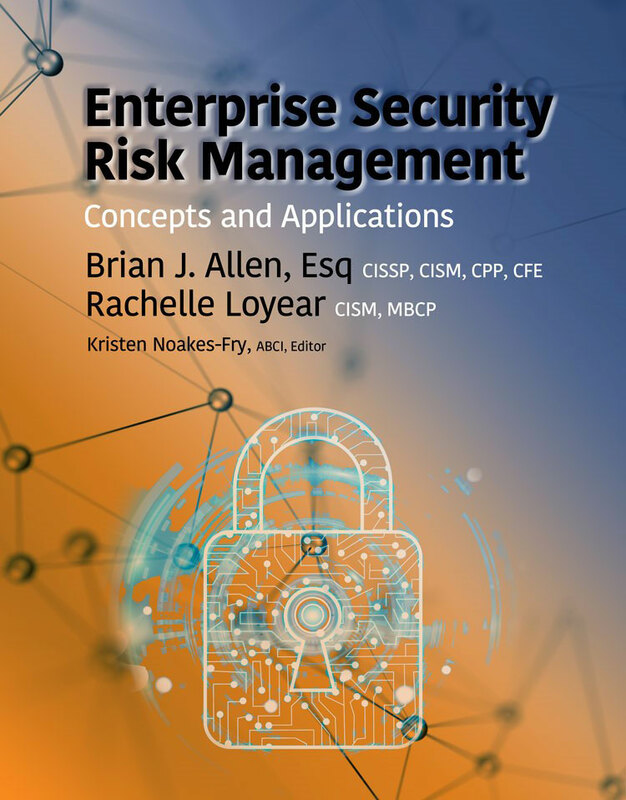 Based on years of practical experience and research, Brian Allen and Rachelle Loyear show you step-by-step how ESRM applies fundamental risk principle to manage all security risks. Whether the risks are informational, cyber, physical, asset management, or business continuity, all are included in the holistic, all-encompassing ESRM approach which will move you from task-based to risk-based security. By viewing security through a risk management lens, ESRM can help make you and your security program successful. This book gives you the tools and materials to help you advance in the security field, no matter if you are a student, newcomer, or a seasoned professional. Do you have a thoughtful philosophy that helps define your day-to-day decisions and processes? Have you taken the time to step back and challenge your security practice and philosophy? Perhaps it seems like those traditional “best practices” in security no longer work or lead to a frustrating outcome. In their careers, Brian Allen and Rachelle Loyear, have challenged these notions and have been instrumental in successfully reorganizing the way security is handled in major corporations. Their practical, organization-wide, integrated approach redefines the securing of an organization’s people and assets from being task-based to being risk-based. 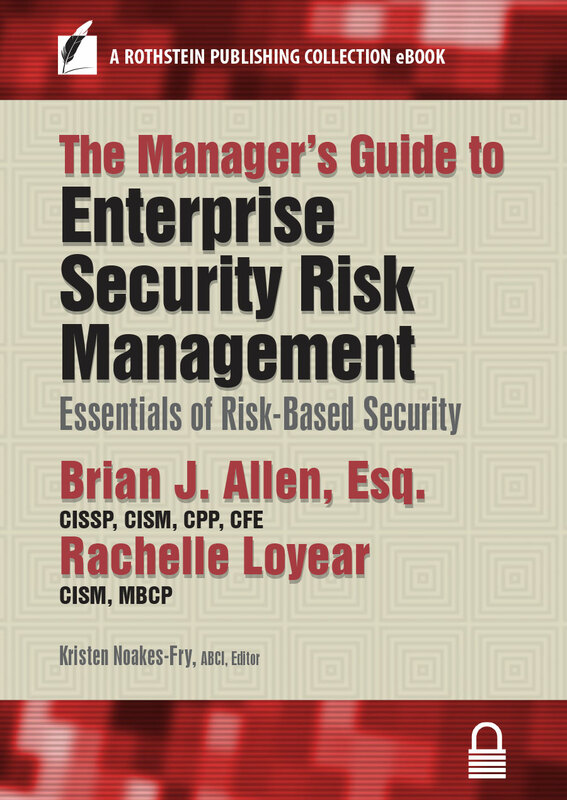 In the face of a continually evolving and increasingly risky global security landscape, this book takes you through the steps of putting ESRM into practice enterprise-wide, through real-world case studies from a wide range of businesses and industries to help you overcome any blocks to acceptance as you design and implement an ESRM-based security program for your organization.